Wearing: Forever 21 hat (Similar here), Thrifted sweater (Similar here), Thrifted boots (Similar here), Vintage 70's Louis Vuitton bag, Rue 21 necklace. 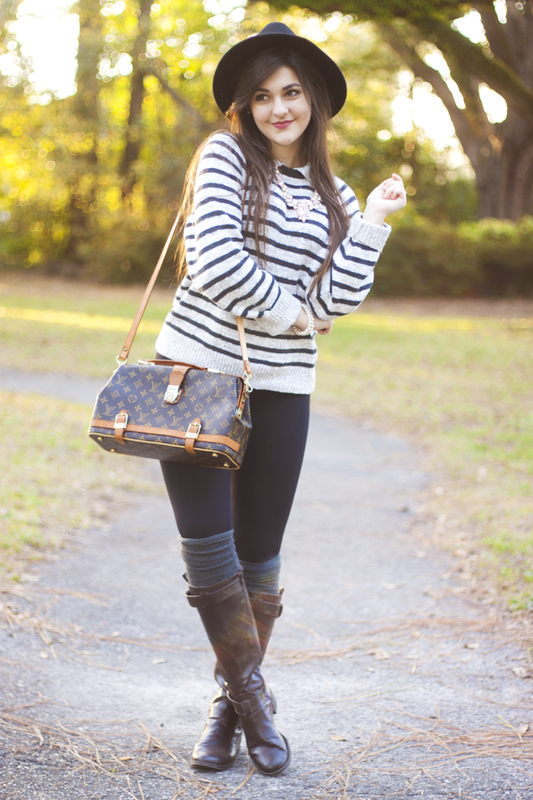 Today was a relaxed day in my favorite winter staples, and I also decided to wear my latest and favorite accessories. I found this darling little 70's Louis Vuitton doctor's trunk bag at a new vintage shop in my area called Mara's Vintage Shop. I got this unique Louis for only $100, which is definitely a good deal, because after I did a little research on this unique-looking bag, I found out that it was a special edition, and it is in really good shape for being so old! I'm not really one for switching out bags often either, so this classic monogram Louis Vuitton is really just what I needed in my life! I am jealous of that bag!! adorable outfit! and you are one beautiful lady! following you now! Love that outfit!! I can't believe you found a louis at a thrift shop- awesome! oh i just love your sweater it is awesome!!!!!!! and that louis vuitton bag is amazing and such a great deal!! I´m following you now :-) Would you like to visit my blog and follow me back? Such a lucky find... I'm in love with your LV! I've been searching for a vintage one like it recently. wow I absolutely love the layering on this outfit! 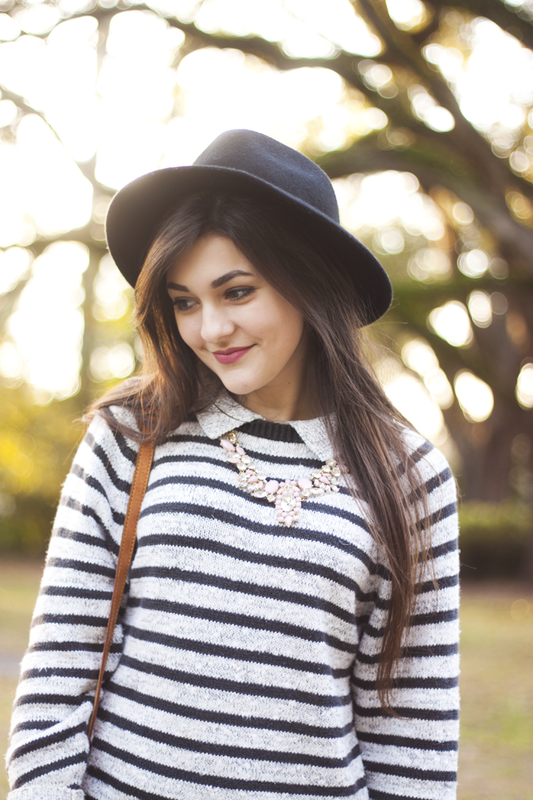 the blouse+sweater+necklace combo is fabulous! Love your outfit. You are very beautiful! Please follow my blog, which I started a few days ago. Thanks!! I have this bag but I don't have the strap. It has a little bit of wear on the handle and I do not know how to tell if it's limited edition. If anyone is interested you can email me.